Everyone has had one experience with confusing medical billing. Receiving medical bills that you either don’t understand, being unsure why they’re so high or wondering what is being included can cause confusion and frustration for patients or parents. Pediatric Medical Billing Services should be a well thought out process so as to not add any further stress or frustration to parents. It is important that each practice maintains an easy-to-understand process in place from the first visit. Pediatric Medical Billing Services begin with well-organized process and system that can be consistently administered at the Pediatric office. 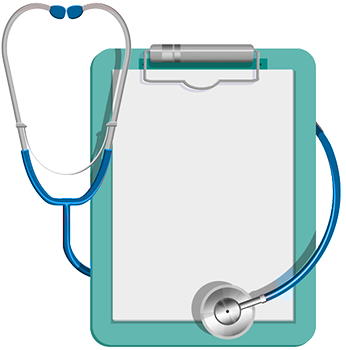 One important part of the process is to keep all of the data from tests, medications and physician notes integrated into an Electronic Health Record (E.H.R.) for the patient so this information can be accessed by the Pediatric Medical Billing team. By keeping the data up-to-date and leveraging the right Pediatric E.H.R., a Pediatric practice can ensure the medical billing occurs in a consistent manner. Pediatric Medical Billing services need to be ready for questions from various stakeholders. These stakeholders include patients and their families, various hospitals and the insurance companies. Payers and Medical practice should expect that the medical billing is well laid out with descriptions and good data. Using a cloud-based Medical Billing system to pull information from electronic health records means less possibility for human error. Data collection doesn’t just appear when billing is done. It all starts with proper documentation from a patient’s first visit. Parents, specialist doctors and insurers all rely on this information being well documented not only for the well-being of the child patient, but also for fair billing and future care of the child’s health. Administrative staff in Pediatric Practices everywhere could use some unburdening of paperwork in the office. Using systems to perform some of the more time-consuming tasks such as data collection, report creation and medical billing can free up staff to spend more time caring for those in need of assistance. A well thought out Pediatric Medical Billing Services system will unburden staff, ensure proper information for insurers and other medical staff and ease the minds of confused parents and caregivers. This should help increase the profitability while making the pediatric practice easier to manage.